If you discover mold in your home, it's important to act quickly. 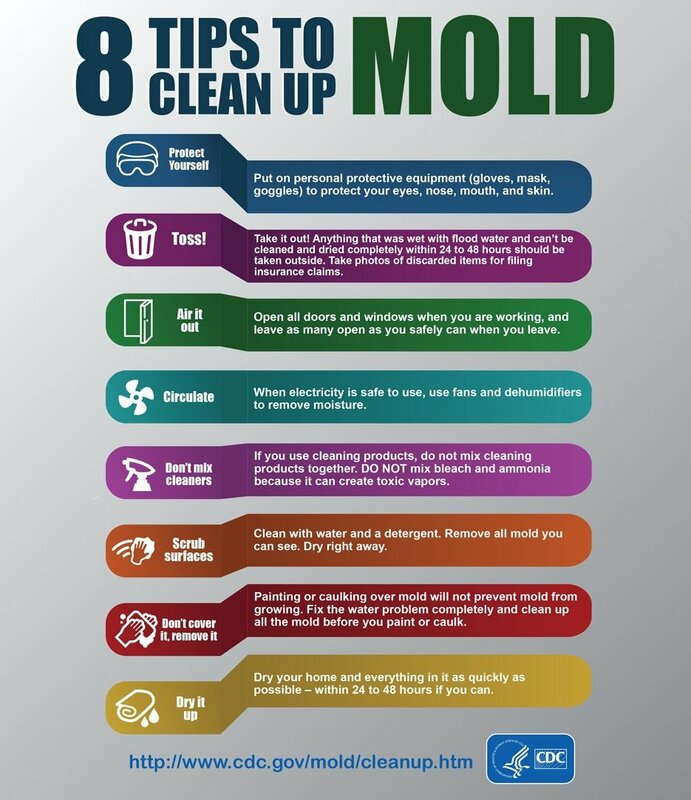 There are some precautions when you clean up mold. First, consider the size of the moldy area, if it's less than 10 square feet, in some cases, you may be able to clean it up following specific guidelines. If the mold covers more than a small space, you suspect mold in your HVAC, there is a lot of water damage, or contaminated water/sewage caused the mold, you will want to get in touch with a Mold Remediation professional. 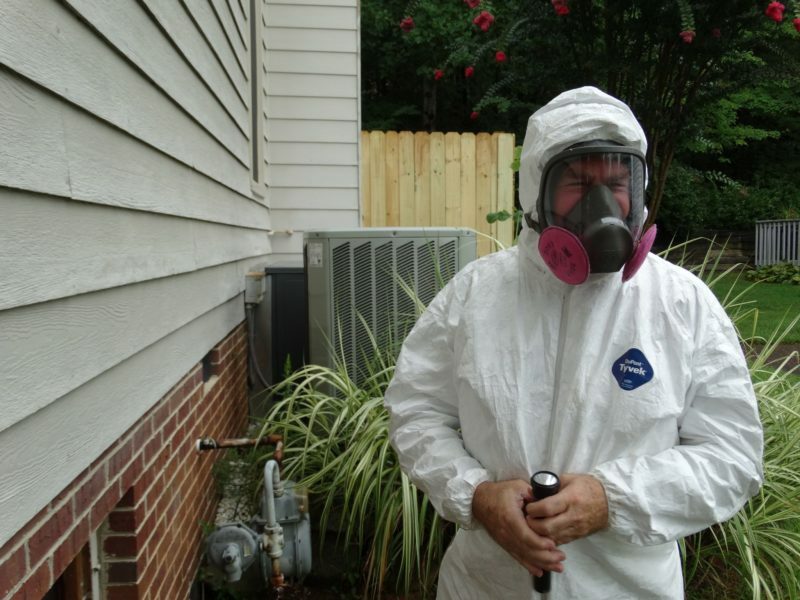 When in doubt, your safest option is to contact a certified remediation company. Another important tip, if you are experiencing health concerns, get in touch with your health care professional before you clean up mold. 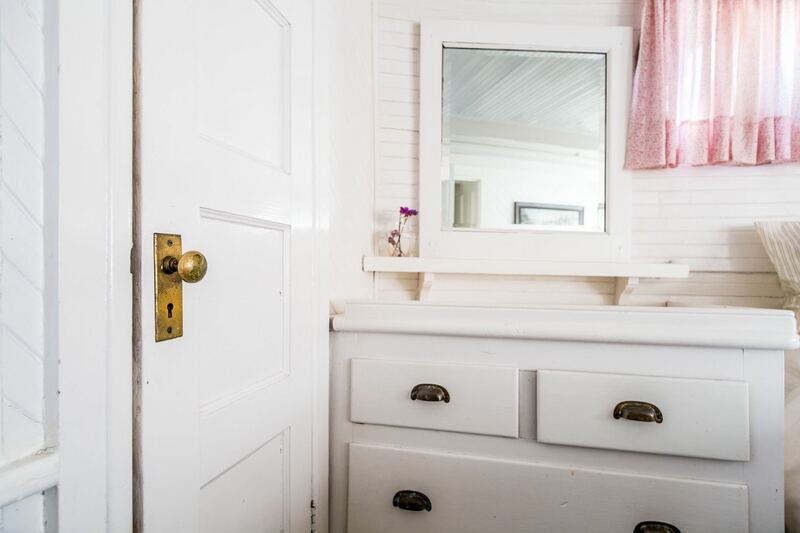 Concerning moldy bathrooms, you probably do not need to call in the professionals. If mold is in the shower or other areas of the bathroom, increase ventilation by opening a window or running a fan. It might also help to double up on your cleaning rotation; instead of once a week, maybe clean the bathrooms twice per week. Keeping humidity down is key in mold prevention. Wear gloves and a mask to avoid breathing in mold spores. “Molds reproduce by means of tiny spores; the spores are invisible to the naked eye and float through outdoor and indoor air.” (1) Scrub mold off the hard surfaces with detergent and water and allow the surface to dry completely. If necessary, point a fan at the area. Warning. The EPA does not recommend that immune-compromised individuals be present during mold clean up. Allergic reactions can still occur from the dead mold, so it's vital to kill and remove the mold. When mold is a problem in other areas of the home the first step is to find any possible leaks or damp areas that could be contributing to the issue. If you find mold on porous surfaces such as carpet, wood, or wallpaper, the best bet is to throw it away. Caulking over mold is not a reliable remedy. It is not a good idea to paint over moldy walls as the paint will end up peeling off. When it comes to mold, take extreme precautions before doing any clean up yourself. If you are in doubt, get an inspection done to prevent exposing yourself to toxic black mold which can cause serious health problems. 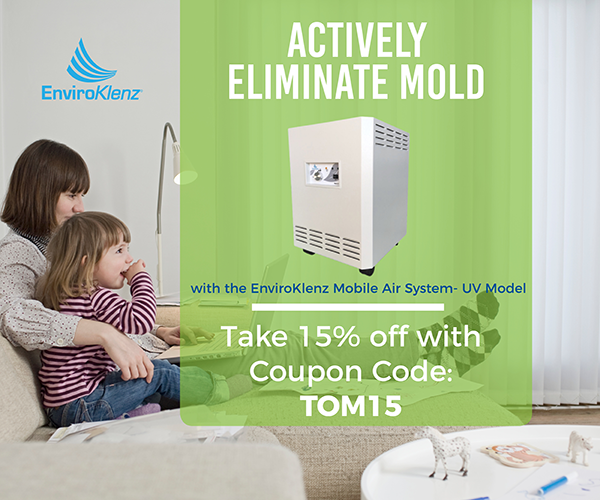 The EnviroKlenz Mobile UV Air System has been one of the key tools I have used since being diagnosed with mold illness. I can't recommend it highly enough. 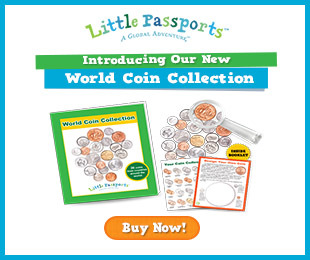 Yes, I am an affiliate of the company though this is not a sponsored post. 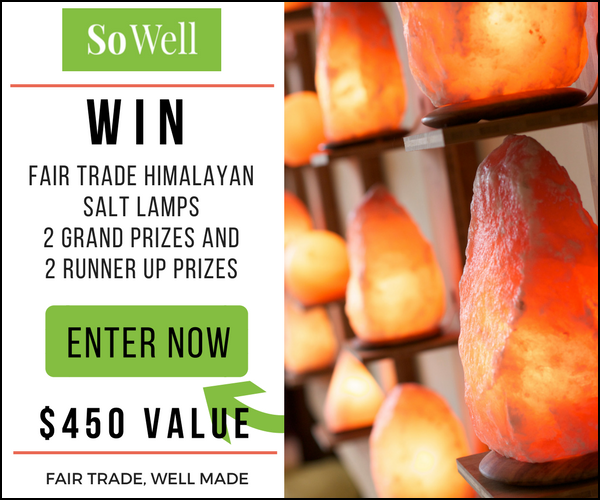 The entire TOM Team and I only recommend products that we personally use in our homes and trust for our families and yours. 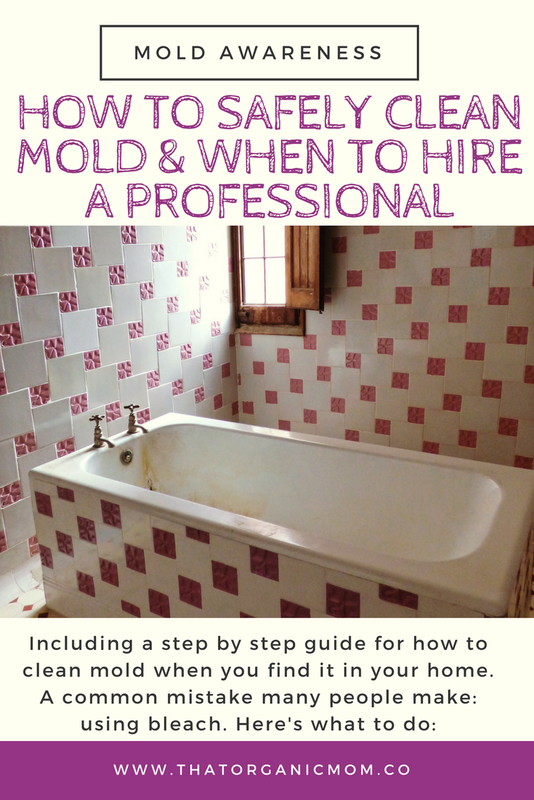 Pin this post to help spread awareness about mold and how to safely clean it up!